Discussing how we’d like our finances dealt with after our death is never easy, but with the right guidance from one of our friendly family solicitors it need be no different than any other financial planning we have to undertake. Do-it-Yourself Will templates are readily available on the internet, but without proper guidance a simple mistake can render this type of document invalid causing difficulties for your family later. 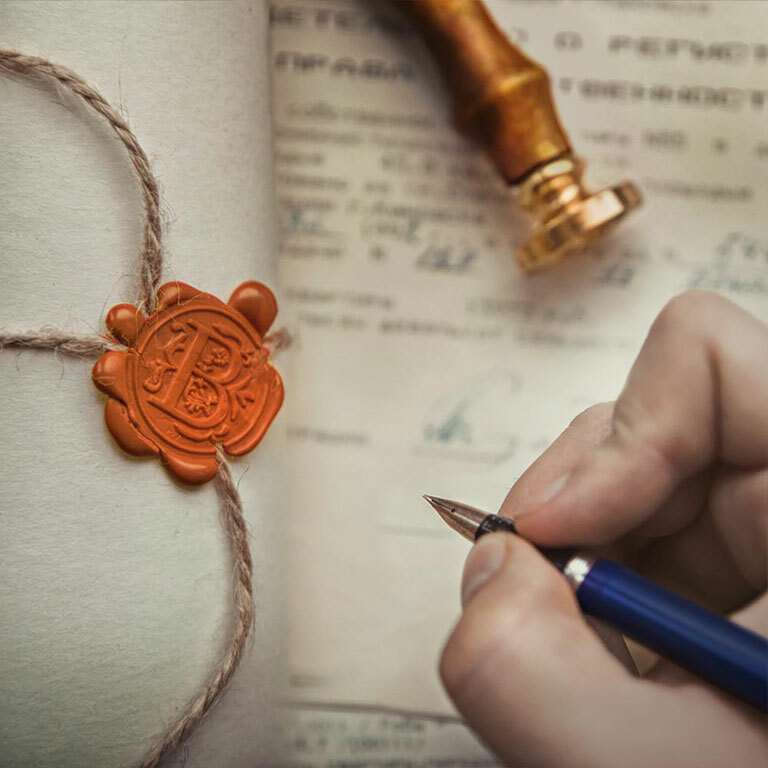 Even if your bequests are relatively straightforward, we would urge you to entrust the drafting of your Will to one of our skilled professionals, giving you the peace of mind of knowing your wishes will be carried out exactly as you intended. If you're thinking about setting up a Trust, either to benefit family members in the future or to manage assets for someone who is unable to do this for themselves, we would strongly recommend you come in and talk with us. There are a number of Trust options we can explore together to find the one that best suits your needs. We can also discuss factors you should take into consideration when choosing Trustees and look at how your Trust should be set up if you think it may need to be altered in the future. If you’ve recently lost a loved one the prospect of sorting out their financial affairs can seem bewildering, but we can help. At Robinsons we have specialist family solicitors who'll guide you through the process of dealing with Probate without using complicated legal jargon. We’ll advise on the steps you need to take if your loved one has died intestate (without a Will) or if you think a Will has been made but aren’t sure how to locate it. Where a Will is available we can help you understand the contents and offer guidance on how to carry out the wishes of the person who has passed away. Some Estates can be quite complex to administer if, for example, there are many beneficiaries or the value of the Estate is substantial and in these cases sound professional guidance is crucial. As we get older the areas of Law that affect us tend to revolve around the same topics; Wills and Probate, Administration of Trusts, Powers of Attorney and issues relating to health and provision of long term care. At Robinsons we appreciate that all of these subjects can be difficult to understand, particularly when the language used is not commonplace, but that’s where we can help. Whether you or a family member need advice on a single topic or several, one of our friendly, approachable solicitors will work with you, explaining in everyday language exactly what you need to know. If you have an urgent issue that needs immediate attention such as a safeguarding concern for a vulnerable older person our specialists can act quickly and in confidence. If you’d like to make sure your family or other beneficiaries aren’t left facing large tax liabilities after your death, it’s important to consider Inheritance Tax Planning. We have specialists who can advise on giving gifts of money or property during life or placing assets into Trusts, both of which will minimise the amount of taxes that will need to be paid on higher value Estates. Currently the threshold for Inheritance Tax is £325,000 and without sound financial planning tax will need to be paid at 40% on any amount above this figure. If you’re unsure how to calculate the value of your Estate we can help you do this by looking at your current assets and calculating how they may increase in value in the future. Creating a Lasting Power of Attorney (LPA) is a sensitive issue, but making these decisions ahead of time can be enormously reassuring. Acting now will give you the peace of mind of knowing that should a time come when you’re unable to make decisions for yourself, you have appointed the right person to act for you. In simple terms, there are two types of LPA and you can choose to have either or both. The first is a Property and Affairs LPA which allows your chosen ‘attorney’ the power to look after your financial affairs in the event that you are unable to do so. The second is a Health and Welfare LPA which focuses on issues such a medical treatment, long term care and decisions that need to be made regarding your welfare. Your ‘attorney’ can be anyone you trust but we can also act for you which may lessen the responsibility for a family member. If obtaining a Lasting Power of Attorney is too late, then consult the experts upon Deputyship which will enable you to look after your loved ones' financial affairs through the Court of Protection. If you hear about such a Trust, before you decide this is the best way to protect your assets and your children's 'inheritance', make sure that you take legal advice from a solicitor.